This is an in-depth review of the Nikon 85mm f/1.4G AF-S lens that was announced with three other lenses in August of 2010. Ever since the manual focus AI-s version of the Nikon 85mm f/1.4 lens was introduced back in 1981, the Nikon 85mm f/1.4 lenses have been used as references for superb sharpness, best-looking bokeh and beautiful color renditions. The last autofocus AF-D version of the lens produced in 1995, the Nikon 85mm f/1.4D, was often called the “king of bokeh”, yielding extremely pleasing out-of-focus areas, in addition to producing sharp, colorful images when shooting wide open. Its legendary performance made the Nikon 85mm f/1.4D lens a must-have for portrait photographers and many professionals heavily relied on this lens for many years for their commercial work (and some still do). The Nikkor 85mm f/1.4G lens is the latest update to the 85mm f/1.4 line, which replaced the outdated AF-D version with newer optical and technology innovations from Nikon. In this review, I will not only provide information on the Nikon 85mm f/1.4G lens, but will also compare it to both the older Nikon 85mm f/1.4D and the lighter and smaller Nikon 85mm f/1.8G. The Nikon 85mm f/1.4G AF-S is a professional-grade lens that is specifically designed for portrait, studio and wedding photographers that need an ultra-fast, high quality lens with a large aperture of f/1.4 for low-light situations and shallow depth of field to isolate subjects from the background, without compromising image quality and sharpness. The Nikon 85mm f/1.4G is built to work extremely well on both FX and DX sensors, yielding sharp results in the center frame, as shown in the following sections of this review. Compared to its predecessor, Nikon completely re-engineered the lens by optimizing its optical formula for better overall sharpness, replaced AF-D focus motor with much faster and more accurate silent-wave motor (SWM) and also added more advanced Nano crystal coating technology. Just like most Nikon professional lenses, the Nikon 85mm f/1.4G has a 77mm filter thread and is also sealed against dust and tough weather conditions for outdoors field use. Optimized for edge to edge sharpness on both FX and DX-format. Minimum focus distance: 0.85 m/2.79 ft. Diameter x length (extension from lens mount): Approximately 86.5 x 84 mm/3.4 x 3.3 in. Weight: Approximately 595 g/21.0 oz. 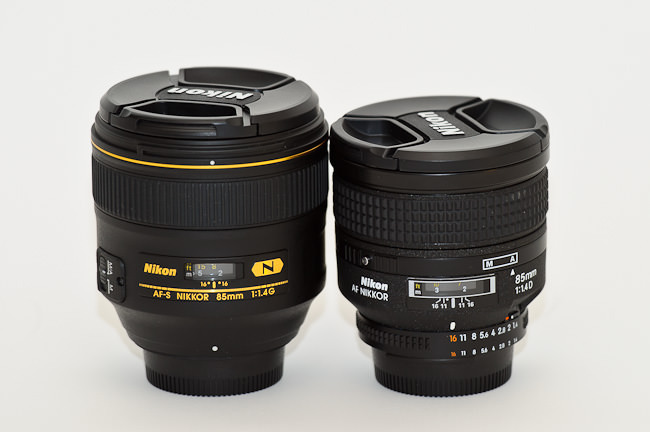 Detailed specifications for the lens, along with MTF charts and other useful data for the Nikon NIKKOR 85mm f/1.4G lens can be found in our lens database. The Nikon 85mm f/1.4G feels very solid in hands and the focus ring is conveniently located in the front of the barrel, making it easy to manually focus with a thumb and index finger while shooting images or video. Another huge step over the AF-D version is the fact that you can simply rotate the focus ring while the lens is set in M/A focus mode to manually override autofocus, whereas you had to move the ring to “M” position before you could touch the focus ring on the 85mm f/1.4D. Thanks to Rear Focus design, the lens barrel does not rotate or extend, making it an ideal candidate to be used with various filters. 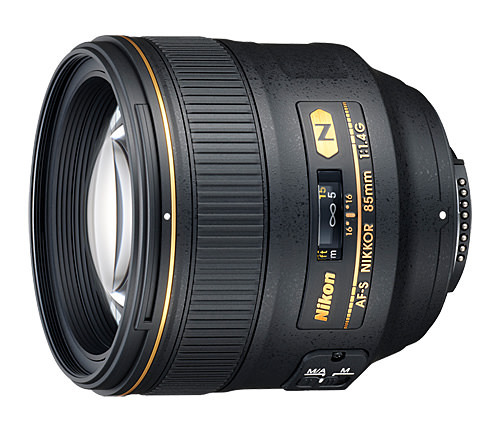 The lens comes with the “HB-55” lens hood, which was specifically engineered for the Nikon 85mm f/1.4G. Check out the Lens Comparison section to see more information about other differences between the two lenses. The autofocus performance of the Nikon 85mm f/1.4G is quite good, definitely better than on most other older-generation portrait lenses. When the lens focuses, it virtually produces no noise, due to the Silent Wave Motor (SWM) technology in the lens. One of the challenges when working with large aperture lenses like 85mm, is being able to correctly acquire focus on the subject when shooting at maximum aperture of f/1.4. The depth of field at f/1.4 is so shallow, that any movement by you or your subject will certainly affect the focus area and cause the image to have a shifted focus. You have to be extremely careful when shooting at large apertures between f/1.4 and f/2.8 and you need to pay close attention to such things as camera to subject distance, subject movement, close focus distance, etc. The biggest pain of the previous AF-D version of this lens was its autofocus system and its sporadic behavior in low-light situations. The older Nikon 85mm f/1.4D certainly focused well when shooting in daylight, but as soon as the amount of light decreased (indoors or after sunset), autofocus would get extremely unreliable, forcing one to focus several times in order to get a reasonably sharp photo. The Nikon 85mm f/1.4G is much better in this regard, especially when coupled with the latest-generation Nikon DSLRs such as the Nikon D750 that have excellent low-light focusing capabilities. This difference alone made the 85mm f/1.4G worth upgrading to for many working professionals, including myself. It is very unfortunate when you take a fast lens with you to a concert or some other indoors event and you cannot get sharp images because the lens cannot properly acquire focus. 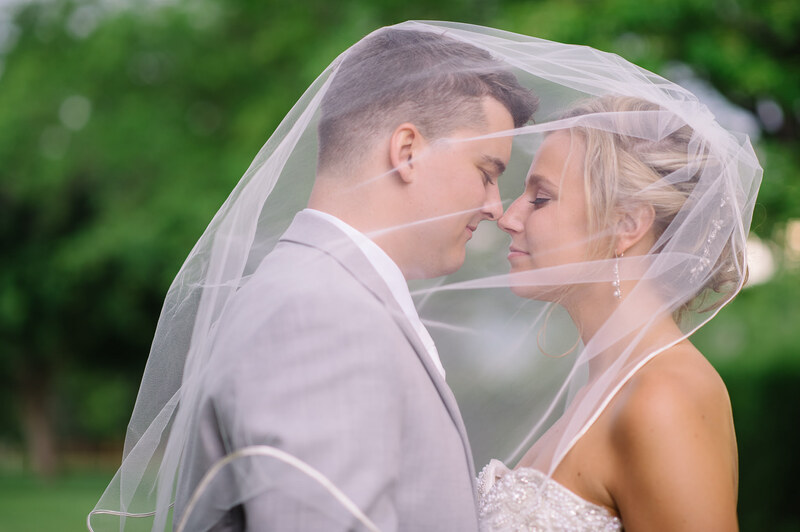 I found myself defocusing and refocusing with the AF-D version a lot and it was certainly getting annoying, so I am glad that I no longer had to worry about that after I started shooting with the 85mm f/1.4G. When it comes to autofocus speed, the Nikon 85mm f/1.4G is certainly slower than its predecessor though, as can be seen later on. The full rotation from close focus to infinity and vice versa takes a little longer when compared to 85mm f/1.4D (very similar behavior to Nikon 50mm f/1.4G vs Nikon 50mm f/1.4D), but the difference is not huge. What is more important – the speed of how quickly the camera snaps into focus, or how reliably it snaps into focus? I believe the latter is much more important, so I certainly do not mind the slower speed.